Butterfly Reflections, Ink. : Did Someone Say...Mermaids? 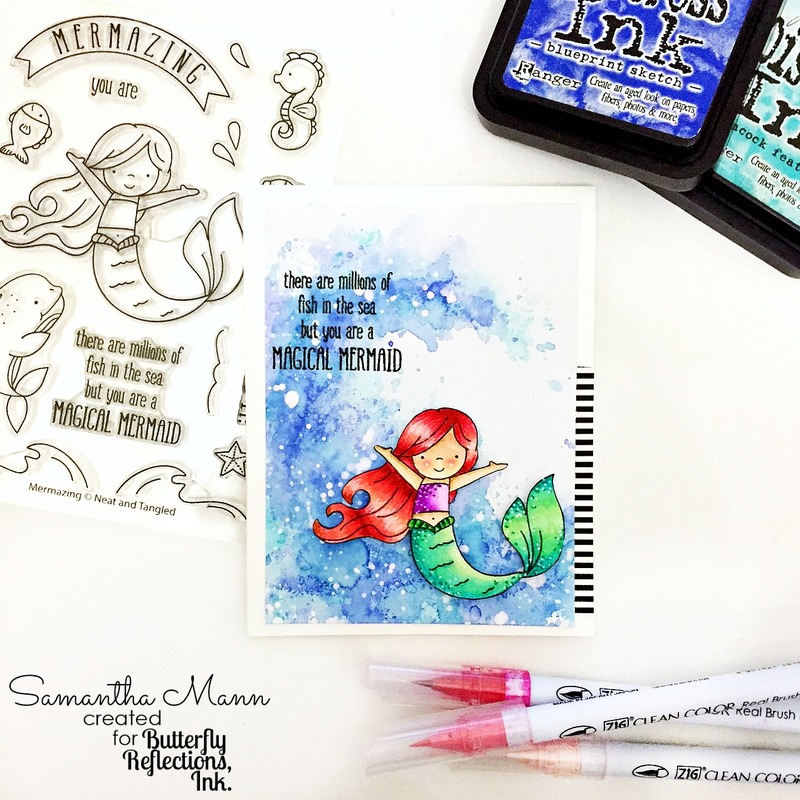 Samantha here, and today I'm sharing a card with you! I used the adorable Mermazing stamp set from Neat and Tangled and I am in LOVE with all of these images! 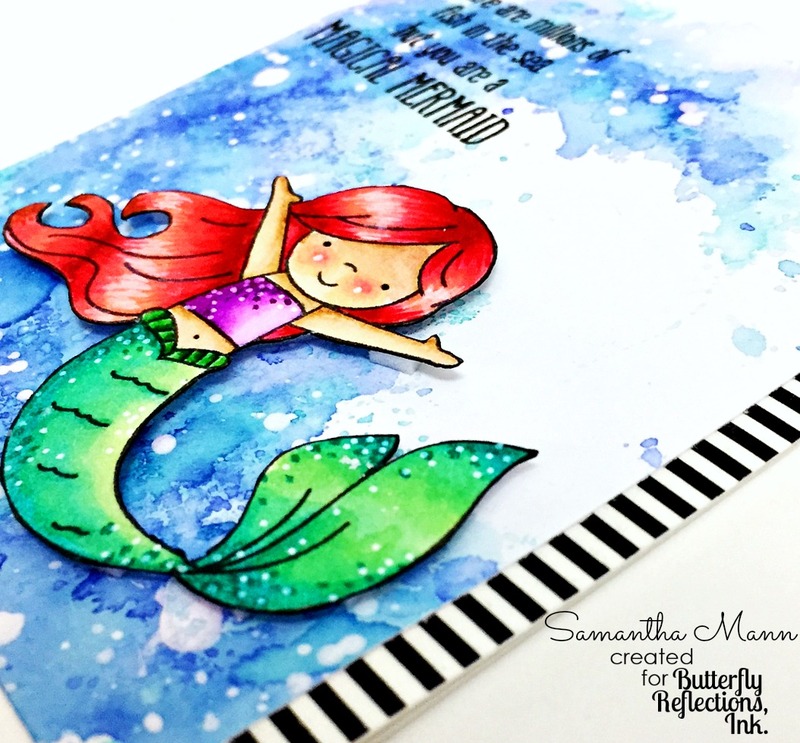 To create the background, I used Distress Inks in Peacock Feathers and Blueprint Sketch to create that FUN watercolored wave! I started by smooshing the ink onto a piece of plastic packaging in a wave shape, spritzed it with water, and then pressed it onto my cardstock! I repeated that process a few times with the various colors to add some depth. And when it was all dry, I splattered some white ink on top! Lastly, I attached the images to the card front with foam tape and that's it! Hope it gets you inspired to play with your craft stuff, and even better - to get some NEW supplies!